Protect your Nikon digital SLR from scratches, and keep a camera accessory or two close at hand with this durable nylon carrying case. Use the adjustable internal dividers to separate your camera from an extra lens or speed light. Store spare batteries and memory cards in the front pouch. The padded shoulder strap makes this bag comfortable to carry. This kit also includes the "Getting Started with your Nikon DSLR" online class. You'll get easy tips for taking and sharing great photos and videos with your DSLR. Learn about focus controls for sharp images, controlling depth-of-field, photographing moving subjects, and more. It's a bag, it holds stuff, it says Nikon on the side. DSLR Value Pack: This new Value Pack includes a newly designed DSLR travel case and the new "Getting Started with your Nikon DSLR" online class. Travel Case: The included travel case can easily accommodate a D3000, D3100, D5000, D5100, or D7000 series DSLR camera, lenses, Speedlights and other accessories. The travel case is constructed of rugged nylon and features a padded interior to protect your digital SLR camera. The case utilizes adjustable dividers to organize and separate your camera and its accessories. The travel case provides zipper an buckle-type closures. The case also includes a vinyl hand-strap and padded shoulder strap. Online Class: The "Getting Started with your Nikon DSLR" online class included in this kit offers easy tips for taking and sharing great DSLR pictures and movies. Topics covered include focus controls for sharp images, using apertures creatively for depth-of-field control, shooting moving subjects, making movies, sharing your images, and accessorizing with additional lenses. 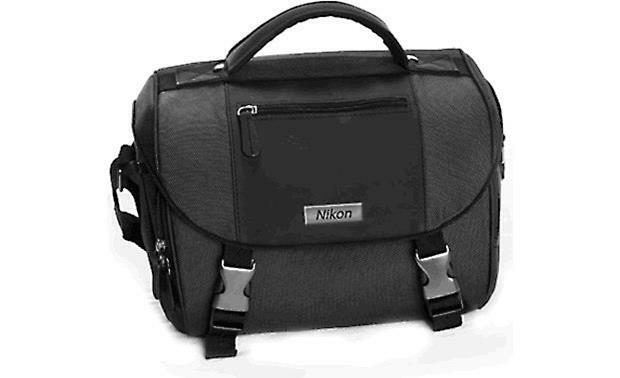 Searches related to the Nikon DSLR Value Pack Travel case for select Nikon DSLR cameras and online class for beginners.